The Sarkkiranta sports centre is located by the Kempele-Oulunsalo road, offering easy accessibility. Versatile sports facilities for all ages are available at the Sarkkiranta area. 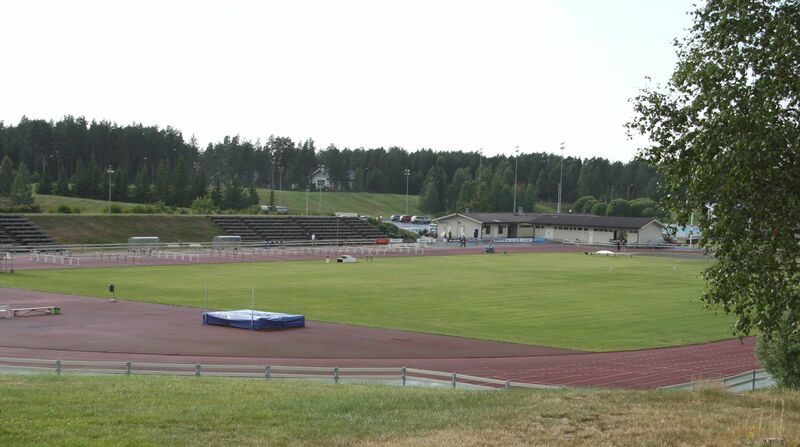 Among the key attractions for spectators and sports enthusiasts are the top league Finnish baseball matches at the baseball stadium and football matches at the sports stadium and at the full-size artificial turf football field. The stadium area offers locker rooms for a total of five teams. At the sports stadium, track and field sports enthusiasts will find a full-size weather-resistant polymeric 400-metre running track with 6+2 lanes and a turf infield for athletics and football. The other facilities in Sarkkiranta include, e.g., 3 tennis courts, 2 beach volley fields, a stone dust surfaced practice field, a skateboard park and a children's traffic park. The PANNA arena next to the traffic park lends itself to, e.g., playing futsal in a small group. There is also an illuminated jogging trail snaking through and around the Sarkkiranta sports area; this trail is used for cross-country skiing in wintertime. The illumination will be switched on during 6 am and 10.30 pm, except for the light summer months. In wintertime, Sarkkiranta offers an illuminated ice-hockey rink and a public skating area. During winter months there is also a cross-country ski connection with Niittyranta, the Letto lean-to shelter and over onto the sea ice. The maintenance status of the ski trails can be viewed through the Softroi online service. Dogs and other pets are not allowed in the sports area.